The overall design goal of this multifamily construction project was to create a high-end luxury apartment complex with natural design elements that would complement the Arizona landscape. 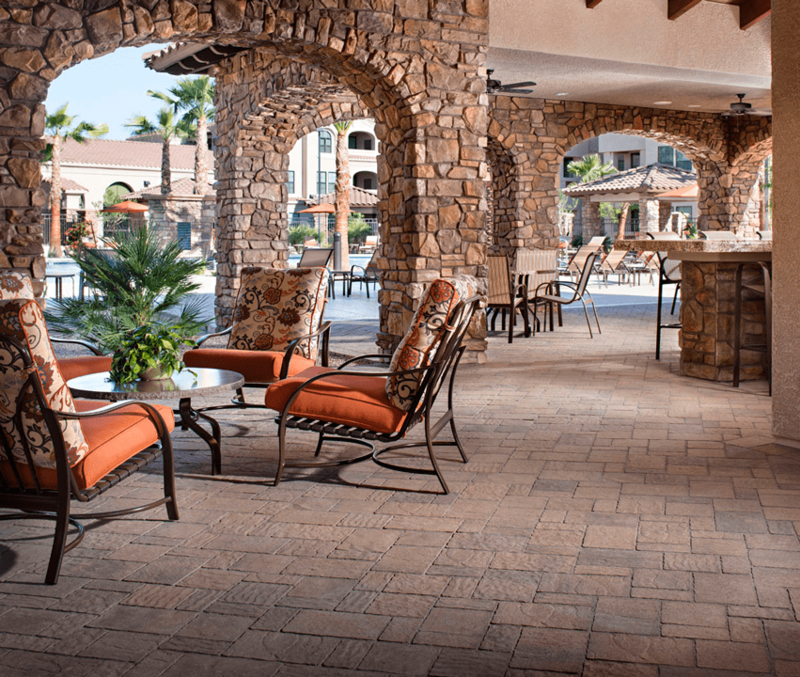 The slate-like texture and warm tones of Urbana Stone pavers harmonize with the natural stone accents of the building to create a stylish southwestern setting. Over 70,000 square feet of pavers were used for the pool deck, entry drive, and parking lot. Design considerations included adhering to ADA compliance, and distinct paver colors were used to define those areas. 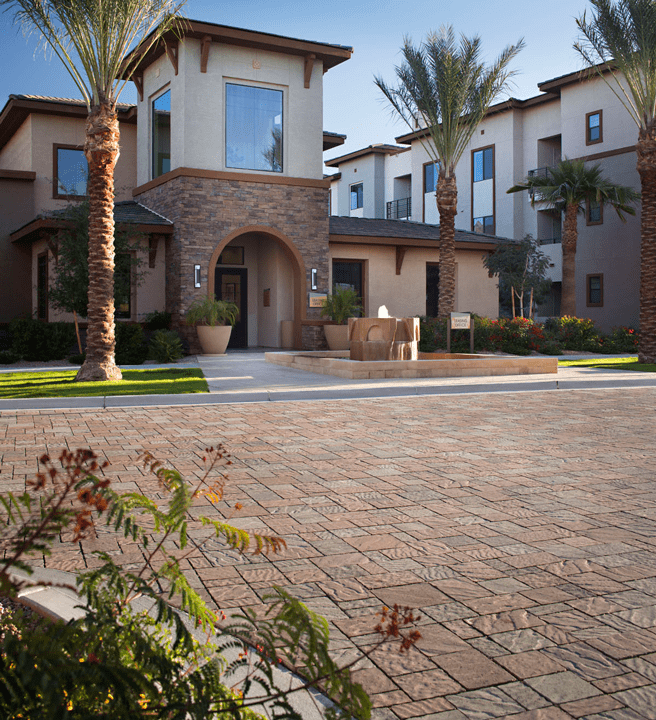 The project garnered two paver design awards from the Southwest Chapter of ICPI.